We believe that to provide the highest quality and most complete service, we need to work with best that the Australian funeral industry has to offer. As a part of the Walker Funeral Group we are constantly working to be Australia’s best funeral care provider. This is achieved through the establishment of a great company culture that supports and enables staff to deliver the highest of customer service experiences. Family owned and operated, this business specialises in handcrafting high quality burial caskets and coffins. Australia’s largest manufacturer and supplier to the Funeral Industry, Hyqual primarily manufactures products locally. Living at its best. 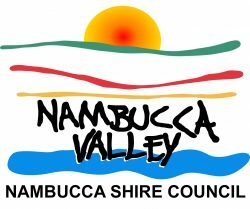 The Nambucca Valley is a perfect choice to discover more. Established in 1927, Hickey & Co today remains the industry leader in providing quality products and unrivalled service. The Macksville Ex Services Club is your entertainment venue in the Nambucca Valley. * Links contained on this website will lead to other websites which are not under our control. We are not responsible for the content of any linked site or any link contained in a linked site. Links provided on our website are provided to you only as a convenience and the inclusion of any link does not imply reliability and endorsement by us of, and we accept no liability in respect of, the content.